Government through the Ministry of Public Service, Labour and Social Welfare working together with the Office of the President and Cabinet have thrown weight behind the disabled community by arranging a workshop that was meant to assist in pushing the signing of the African Disability Protocol. Speaking at the workshop, advisor to the President on National Disability issues Doctor Joshua Malinga expressed concern over the way the society views the disabled community. Malinga said despite all the disabilities that we have in life, we all have a purpose to leave for. “We all a have a purpose in life. Some are short, some are ugly, some are tall and some are fat. Its diversity. People have to know that there is nothing we the disabled people cannot do. We can do everything but in our own way,” said Malinga. “Give us a chance to celebrate our differences and recognize our rights too. Anything for us without us is against us hence people need to change their minds on people with disabilities because being disabled is not by choice,” added Malinga. Speaking at the same event acting director Sneddon Shoko, who spoke on behalf of Honourable Sekesai Nzenza who could not be available, said the government’s focus is on advancing the rights of people with disabilities. “People with disabilities are able to make their own choices and exercise their freedom in the society and people of Zimbabwe, we are rallying behind them,” said Shoko. “Back Then buses that were imported could accommodate wheelchairs and people who use clutches could board buses with ease. These days, the buses are not wheelchair friendly. As a country, we need to make our transport system accessible to persons with disabilities,” Shoko added. 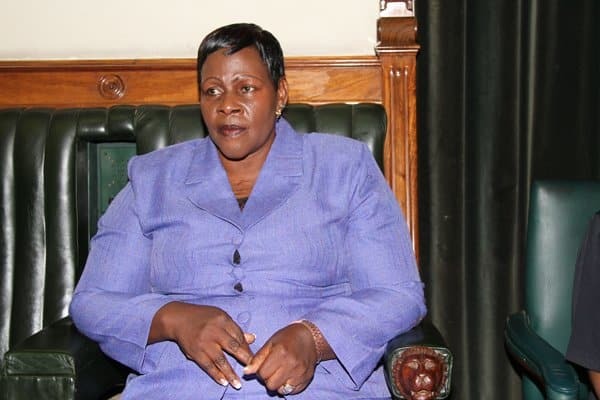 Speaking on the sidelines of the event President of Senate, Mabel Chinomona said they are going to push for the protocol to be ratified in parliament. “Our government has done a lot towards people with disabilities so we are here to offer our support. Once the protocol comes before our parliament, we will push for it to be ratified and passed so that their rights can be recognised. It’s up to everyone in our country to support persons with disabilities,” said Chinomona. Spokesperson for African Disability Alliance, who is also the chairperson for Africa Down Syndrome Network Kifita Kimbonyi applauded the government of Zimbabwe that it has an adviser to the President on disability issues. The Zambian national went on to pledge his support to African governments until the African Disability protocol is passed. “Many governments are not informed on disability rights. Some deny that albinos fall under this group. Most governments focus on the blind, deaf and dumb yet there are so many disabilities out there. Albinism and cerebral palsy must also be included. If you need me items of support, call me and I will come,” said Kimbonyi.